You know it’s going to be a great night when Joe Smith and the Spicy Pickles is on the billing, and with the unofficial kick-off party of Lindy on the Rocks happening too, it absolutely was! 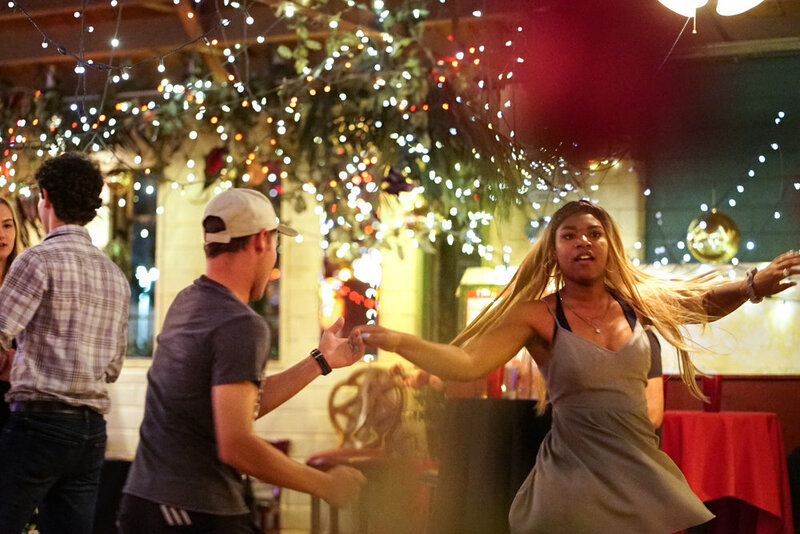 Thursday’s Lindy Jam was so much fun because of Joe AND DJ Chip Self who brought superb sets for our dancing pleasure. QuickSilvers also performed the “Candy Shop” routine on both Thursday and Sunday. It’s one of our favorite things to swing out with our teams, and Dani & I were able to do that twice in one weekend, we were thrilled! 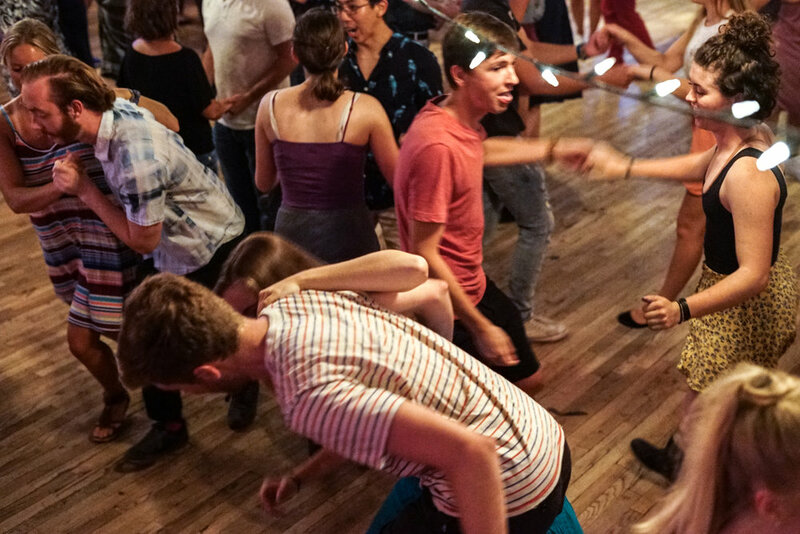 If you made it to Lindy on the Rocks, you experienced how much fun it was to dance all weekend and progress your dancing through the tag team effort of class and social dance. Each one supports the other, and we encourage you to find a balance between the two! If you only make it to classes, you’re missing out on the unique learning and spontaneity that occurs only on the social floor, and if you only social dance, you’re missing opportunities to challenge yourself with new ideas, material, and technique refinement. Again, they both feed each other. At Swing Nights’ we encourage a growth mindset, which emphasizes the process, work, and effort over perfection. It’s so easy to want to get things right the first time, but we’ve found that the students who have the most success are resilient and never give up. They don’t berate themselves over not getting a step or concept through the learning process! We understand how intimidating it can be to learn a new dance, to be in a room where it seems like everyone speaks the language of dance so fluidly. It’s tough! We also encourage new students to make that leap of faith and jump out onto the social floor. It is the place to implement what you’ve learned in class and to come up with a new round of questions for your instructors. It fuels your progress. The same way that we encourage social dancers to keep “being fed” by going to class. When you think that you’ve reached a plateau in your dancing, it’s time to strike back with that one-two punch of social dance and class! Newer PostSwing Nights' Media Round-Up for the week of September 16th! Older PostSwing Nights' Media Round-Up for the week of September 2nd!